My family loves to make our own costumes. Every year, we make to a higher and different level of imagination. This year the theme was “Trip Around the World” that shows cultures and history of people. 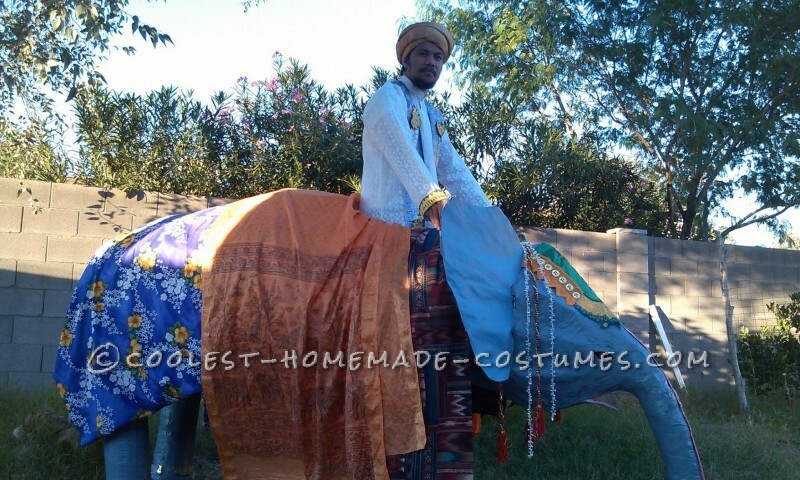 We picked the county India because of its rich practices and colorful splendid garments. 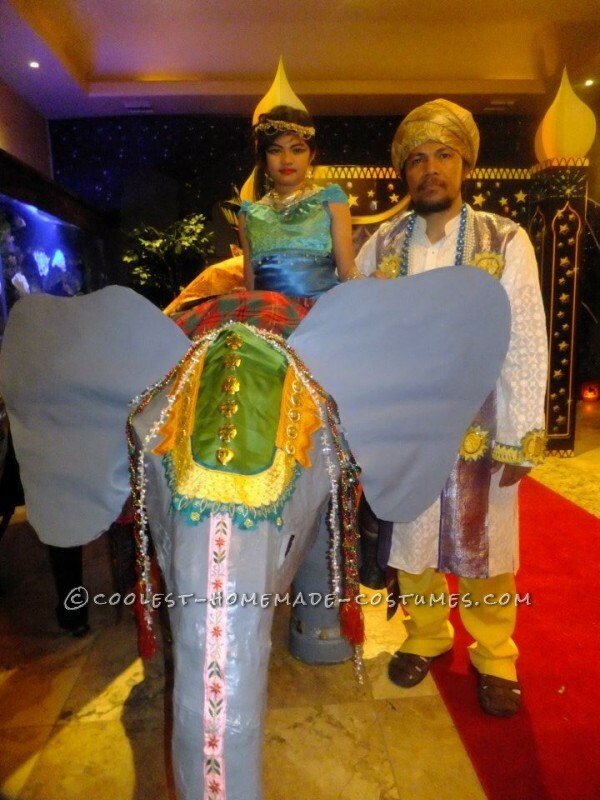 My husband made a huge elephant made of scrap materials that walks, flaps ears and even with trumpeting sound. He made elephant skeleton using hanger wires and wrapped it with net. With paper mache techique for the nose and cover with foam for the rest of the body. He made the feet movable with step on at the front and casters for the back feet. The elephant can walk slowly with the use of full stick wood to move the front feet. He made this elephant for 2 weeks after work. 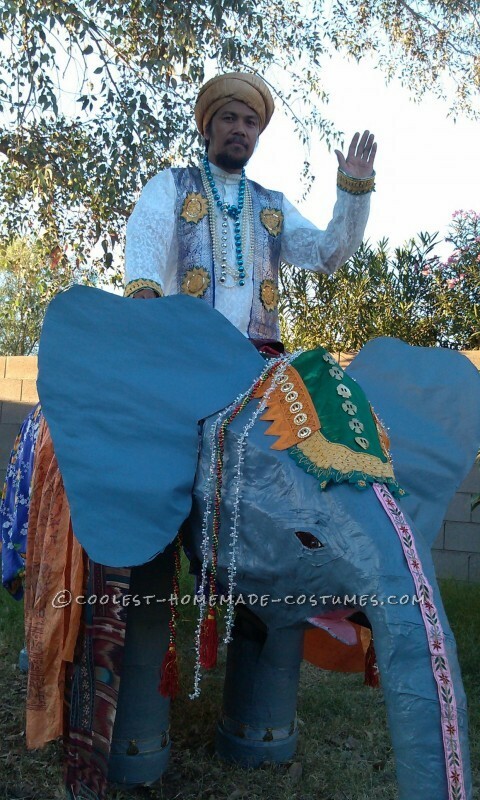 The elephant man is very common in India festivals but of course, they are on top of a real elephant. During the event, people called us crazy for the creativity and imagination that brought fun and full of excitement. Seeing my husband enjoying to show off and gave joy to other visitors and friends and was busy with picture taking and assisting people to ride on top of his elephant. They said it was over the top and he literally stole the party. It was a blast. Wood, chicken wire, hanger wires, net, hard cardbord, masking tape, glue gun, nails, papers, glues, srcrews, foam, bolts, fabrics, paint and other gold colored buttons for decorations. Handmade Harley Quinn Costume, Right Down to the Shoes!